As I’m working on a project, my mind is always wandering to the next project(s). And while I really do want to finish up my living room and entryway, there are two items for my bedroom that really need some immediate attention. After sharing 12 amazing and inspiring IKEA Rast hack ideas with you back in November, I finally decided that I was going to use this Bungalow 5 Jacqui 3-drawer side table, which retails for $910.00 at Layla Grayce, as inspiration for my own IKEA Rast hack. I even bought the brass ring pulls and got them in the mail about a week ago. I really love the modern look of this one, and those quirky little feet just make me smile. But a few days ago, I came across this Kira Chest from Grandin Road, which retails for $349.00. This one appeals to that side of me that really loves scalloped and scrolly things. Plus, nail head trim. I do like the finish, but if I make this one, I’ll probably go with a different finish — something more colorful. This finish would blend in too much with the linen draperies that will be behind it. I really do like both of these equally, and each of them appeals to different parts of my “decorating personality,” I guess you could say. Since I can’t make a decision, I’m leaving this one up to y’all. I generally ask for input, and then make my own decision. But in this case, I’ll actually go with the majority vote, without question. Next Post Watercolor Tile Herringbone Table Lamps - Finished! I like the Kira chest! The Kira chest! I really like that one! Kira chest all the way! I like the Kira one also. Have any idea what color? Well, it depends on the headboard, I think, but I think the Kira style would work well. Use a bright color OR the scrolly nail head. I think both together would be overwhelming, but maybe not. I’m sure whatever you decide will be more than wonderful! I would love to see you do the Kira one! While I’d be intrigued to learn how to do nailhead trims, I like the Bungalow 5 table best and hope I get to see how you manage the quirky feet on your IKEA chests. What about a combo of the two. The nail head, and the awesome drawer pulls….? I was just about to suggest the same thing. I would love to see the green and brass with some nail head trim that runs down the sides and follows the curve of the leg. Kira hands down. It is so you! Hhmmm…..that’s hard since your room is so bare. I’d really like to see what you have planned for the headboard and bedding. Is the color of the wall changing? Love the green one but the shape of the Kira is closer to what you have, and I think would be easier to transform. I could see Kira in a funky green or teal. I really like that Kira Chest. It totally screams style. Also I can’t wait to hear your review on your Saatva mattress. We had been lookingfor a mattress for the past year and when you posted this brand I did some research and bought one. After waiting 18 days for delivery, the mattress could not fit up the stairs because it is extremly rigid and did not flex a single inch. I really wish that would have been mentioned in the delivery info. I measured my staircase several times and since there had been a king bed up there I didn’t expect any issues with the Saatva mattress. Essentially it was like trying to fit a king sized box spring up my stairs. I had to send it back with the delivery men so I never got to sleep on it 🙁 I will add that the customer service was excellent and I’d consider them again for smaller beds in my house. I vote for the Kira chest with The Bungalow 5 color. BTW, the ring pulls look like they would work really well on the really small drawers of the Kira chest but not so well on the IKEA chest. I like the nailhead one! Of the two I prefer the Kira Chest. I love the Kita, also! Can’t wait to see what you decide. I’m sure it will be beautiful, just like all of your projects! Overall, I like the chest from Layla Grace, but I think your Rast chests more closely resemble the Kira Chest, so I would go with that one. They definitely would need the special Kristie touch though because the Kira Chest’s color is drab and boring. I can’t wait to see what you come up with! Sorry, I just realized I misspelled your name! The Kira Chest all the way! Why can’t you do a combination of the two? The Keira chest with the quirky little legs – you’ll get what you love from both of them! I actually think you could combine both looks. What about painting it the color you like and doing the nailhead trim from the 2nd option and then using the brass drawer pulls down the middle? I think they both look nice and taking elements from both will give you a custom look of your own and satisfy your desire for both 🙂 or do one table in one look and the other table in the other, they both don’t have to be the same I have seen so many design shows use two totally different side tables and it look awesome. Good luck can’t wait to see the finished product! The Bungalow, although I see I’m in the minority! The Kira chest is more to your taste. It’s my choice as well. I would vote for the Bungalow 5, but I’m obviously way outvoted! 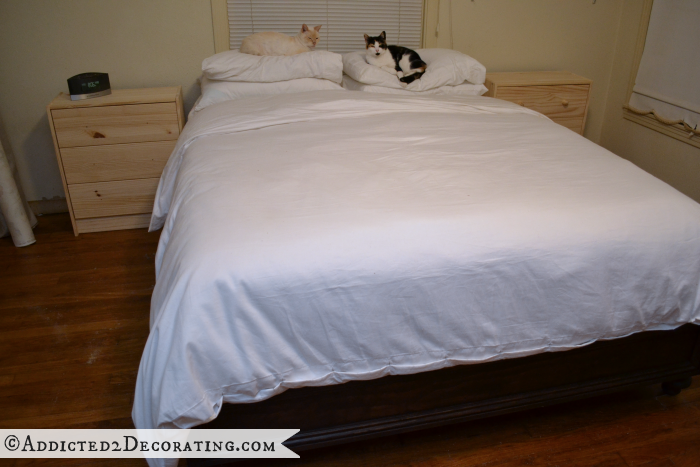 I’m really looking forward to your headboard (tutorial) because I’m also getting tired of leaning back against a hard wall when sitting in my bed. I’ll probably have really bad posture in another few years. Oh Please do the Kira!! For some reason the Bungalow reminds me of something that would be on Blue’s Clues. Maybe I’ve just seen too much Blue’s Clues but it was the first thing that popped into my mind when I saw it. Not that having something that seems like it belongs on a kids show is entirely bad, maybe even a little fun, I’m just tired of the show lol. The Kira just seems a little more sophisticated to me. The nailheads and swirls look much fresher IMHO. The shape is more easily adapted to your purchases, too. Whatever you choose, I’m sure we’ll be ready to applaud. Just a thought. How about surrounding the window with bookcases, with the bedside tables part of the design? Kira chest with a Kristi twist. Can’t wait to see what you do with it. 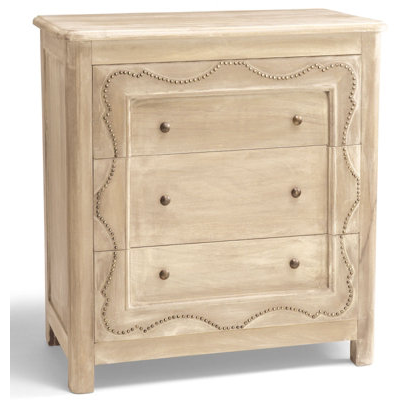 While I like elements of both, my vote is for the Kira chest but perhaps w/ larger knobs? And there’s something about the square of raised molding around all 3 drawers … what if that went away and you just did the curvy nail head trim? BTW, I really like those “pillow warmers”. I have one, too. Kira! I love that! I saw those chests but couldn’t figure out what to do to them to make them work. You have once again given me a great idea! That may have to be my next project. Hands down, option number two! Nailhead trim is my favorite!!! The Kira…which would still look awesome with the “ring” pulls!!! My vote is the Kira chest! Blessings. I think the Kira’s style translates very well to the Rast frame–the drawers on both pieces create a uniform front, whereas the Bungalow one has smaller drawers. I think a solid, monochromatic might be too “plain” to work with the Rast frame. Does that make sense? Having said that, I think the Kira style would be awesome if you pulled the coral color from your patriotic fabric and lightly distressed it. 🙂 Not sure how your hubby feels about coral nighstands, but it would be really amazing against white wainscoting and the navy wall color. I vote for the Kira design as well and was going to suggest to paint them the coral color as well. Although I am not a fan of a distressed finish and with this chest I would not do it here. I think it would distract from the overall effect of the pretty nail head trim. I really like the idea of combining the feet of the other chest with this one to give it that Kristi flare. I know whichever you chose it will be fabulous! i like the Kira Chest . Definitely the Bungalow 5 Jacqui 3-drawer side table! It’s so fun and speaks to your personality and our homes need to make us smile! The Kira one feels to traditional and predictable. Whatever you decide it will be perfect for you! The green one – by far!! I’m with Rochelle (above). I vote for the Kira, but with elements of both? Gotta love that nailhead trim, so with your talent with a saw, some fancier legs on the Kira if that’s possible? 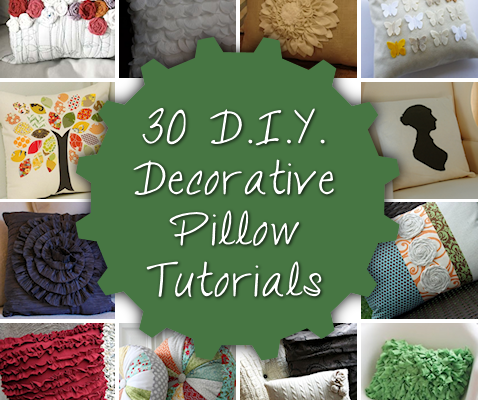 Love your “pillow warmers”, too. Like the Kira night stand…. The Kira – it is just lovely, although I agree that it should be a more interesting color. I’m very excited to see what you do to it. The Kira chest! At this point, I think it’s the all-out winner. Love that nail head trim. Love the Kira. By the way, as someone that owns a buffet with those drawer pulls, you will get tired of the little marks the pull makes as it clanks against the wood. Also, the sound oft he clanking gets old. I finally removed them and installed drawer pulls with no moving parts. Just saying! I much prefer the Layla grace… But I see that I’m definitely in the minority. I think it’s going to be the Kira! I concur! Love it! Kira chest, all the way. I would love to see your rendition of the Kira chest. LOVE the kira chest with a pop of colour, so unexpected but beautiful! I know I’m in the minority here, but I vote for the green chest: I simply love the bold colour and esp. the legs! I would love to see how you transform the Rast into this chest with legs. But I think that the colour choice should definitely tie in with what you’ve planned for the other decor in the room. If you decide on the 2nd option which I’m rather sure of because of the overwhelming vote for that, I am much for another colour choice because it seems a bit too neutral that way – but you alreday suggested that yourself, so I’m quite sure that you’ll come up with a unique Kristi version that’ll top both of the options above 😉 Can’t wait to see it in progress!!! Yay! At least there’s 2 of us! I totally agree! That green cutie just screams Kristi and why not have some fun with it while still having a beautiful room! I think the fact that we’re in the minority is all the more reason to go green. Nobody else would have it and you don’t want the same thing in your home that everyone else has. Our homes should make us smile and those green nightstands would definitely put a smile on anyones face. Can’t wait to see what you decide! Kira Chest here! Perhaps in a fun color? I know it will be great no matter which you choose! the Kira chest! Love the nailhead trim plus I think the first one is a bit too modern for the design. The Kira chest, for certain. I love the shape of it, and the extra details. I am not excited by the colour choice Grandin Road used, but I know that when you pair your hack and taste in colour that it will be perfect. I have two Rasts waiting for me to tackle them too, but right now my basement workspace is gutted because of a flood, and it is far too cold here to work outside, so I have to watch and see what everyone else does, in the hope I figure out what I want to do! I was leaning toward the other one, but Natalie’s comment convinced me that the Kira chest would be great for a bedroom! The Bungalow! The Kira chest is nice, but boring, a bit old-lady style to my taste. I would love to see your take on the Bungalow! Kira! I love both, and hope that you use the other one somewhere else in your house (a modified version in your office or dining area?). But I think the Kira would work better with the RAST in terms of shape, and I like the simple elegance of it for a bedroom. The Kira chest for sure! I LOVE the Kira chest!! The nail heads sold me!! So much depends on the color! What color are you leaning towards? I love color, but the Kira chest just looks so much more calming and classy! Kira design with the doorknocker pulls. Thanks for sharing all your creativity and talent with us!!!!!! Kira chest – Love it!! I know I’m way outvoted so this doesn’t really matter but I really like the green one. I think that’s because it’s a bit more modern and funky. Your style probably lends itself to the other one more, but I was really interested to see how you were planning to create that foot detail. The nailhead trim in the Kira is great, and because you didn’t use it on the console, it wouldn’t be overkill. Whatever you choose, I’m looking forward to seeing how you accomplish it. You give me courage! Kira gets my vote; but I have no doubt at all you’ll make whatever one you decide look fabulous my dear, and fit that room to a T.
I vote for the Kira – just seems more appropriate for a grown up master. The Kira! Can’t wait to see which wins! The Kira. I’d love to see your take on that one. After scrolling thru to the bottom to place my comment, it seemed as though Kira won! I too think Kira is the one to go for. That nailhead trim is scrumptious, and you’ll finally get to fulfill your desire, and to get that off your bucketlist of things to make! Oh well, maybe you can still use the Bungalow somewhere! My vote is for the Kira chest. I’m eagerly awaiting whichever one wins (looking like the Kira at this point) and your spectacular creativity! I so enjoy your blog. Okay. I admit it. You’ve won me over to the world of nail head trim with the Kira chest. I love the design and even the ‘dotty’ appearance of the nail head trim. THIS one has my vote…in a wild, random color. And since I adore crazy green and funky feet, it was a shock to me that I liked the other one better! That said…I bet you could do a prettier scrolled foot design. I love the feet on #1. Can you do like a hybrid of the two? Absolutely the Kira chest for your bedroom! The other is fun and funky but wouldn’t be my first choice for your bedroom. Maybe use that idea else where. why not the best of both? order another set of ring pulls, use the nail head design, and cut out scroll work in that kick plate? Pretty sure the Kira is the big winner. I really love that chest. Have you ever tried the nailheads that come on a cord, or string. Easy to install, I used them on some Monterry chairs a few years ago and they don’t look half bad! Got them on a Tandy site. I can definitely see both of these tables reflecting your styles. The Bungalo 5 is quirky and unexpected, like a lot of your projects, but the Kira with its swirls and nailhead trim I think would appeal to you (well, me) at the end of the day when I came into my bedroom. Fun, quirky stuff in the living areas for during the day and elegant, restful (yet interesting) pieces for a grown-up bedroom. Your projects continue to amaze and inspire me. I must echo other comments – whatever you choose will turn out great! Love,love,love the Kira. Hope you are planning to do them in an exciting color. I’m also looking for bedside stands and can’t wait to see what you do with these. Worry if you choose the other style it will turn into repetitive scroll throughout the whole house. The second one. It’s fun coming to your site and seeing what you come up with each day. You are one busy, busy woman. Your projects amaze me! I know I am out numbered in my vote, but I really like the bungalow 3 drawer chest with the ring pulls! I love the simplicity of the green chest! Love the legs! I say the Bungalow 5 but I am way out voted.. I would save the nail head trim for the headboard and possibly a end of the bed bench, although I love nailhead,I am a sucker for those Bungalow 5 legs! The Kira because of it’s uniqueness. It catches the eye. I like the bungalow chest, but I really love the Kira chest. Whichever one you end up going with, I’m sure will look perfect in your room. Sweet kitties by the way! I prefer the Kira chest…I realize that we all have our own preferences (styles) and so I’m just stating what I would like…I am a bit concerned about what type of color (and/or finish) would use because for me, the nail head trim reminds me of rich and rustic leather furniture…and so anything shiny (including shiny metals) would not fit. I imagine this chest looking like something one would find in the “Sundance” catalog…I love their stuff!! I prefer the Kira chest…I realize that we all have our own preferences (styles) and so I’m just stating what I would like…I am a bit concerned about what type of color (and/or finish) would be used because for me, the nail head trim reminds me of rich and rustic leather furniture…and so anything shiny (including shiny metals) would not fit. I imagine this chest looking like something one would find in the “Sundance” catalog…I love their stuff!! Bungalow! I love the clean, simple look. Definitely the green one with the quirky legs. Its a nice contrast with its modern lines to your more traditional bed. It seems like you and is a good match with the dark bed frame. Love it and seems most like you. I’m going with the Kira in a fun color. My vote is for the Kira one. Love the nailhead trim pattern. Please do the kira!!!! I love that shape and style. I actually prefer number 1. But it looks as if KIRA is “Winning” :-). I am certain no matter what design choice wins, it will come out fabulous! Your style and taste dictates kira. good luck with the development. The Kira one! Absolutely. 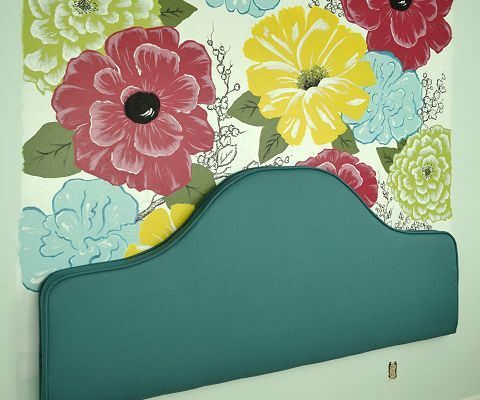 While I love the green one -a lot, I really think the Kira would be more in line with your other choices for the bedroom. Navy, stained wood and linen? Definitely screaming Kira. But please! maybe you can do those funky little feet on the first one somewhere else on another piece ????? Go for the Bungalow! 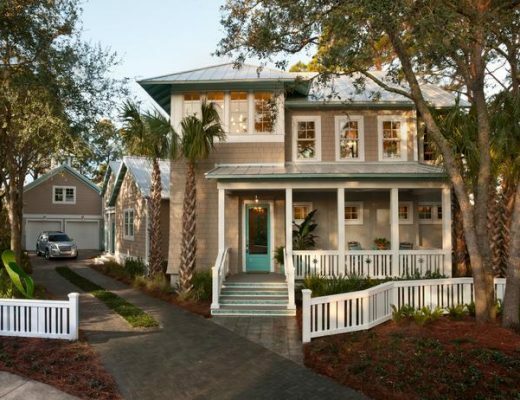 It’s a modern perspective on a classic design; clean-lined yet architecturally interesting! And the color is just yummy! Definitely the Kira, but I would love to see you do the green one for maybe another room. Maybe you could work it somewhere close to the gorgeous console table you made. My vote is for the Kira chest, absolutely. To me it fits right in to a luxuriant bedroom, calm and beautiful. Kira Chest – with a diamnd tufted headboard it will be georgeous. I like both, but I would need to see plans for the headboard before I chose one. I like the Layla Grayce. The legs remind of the table you just finished! 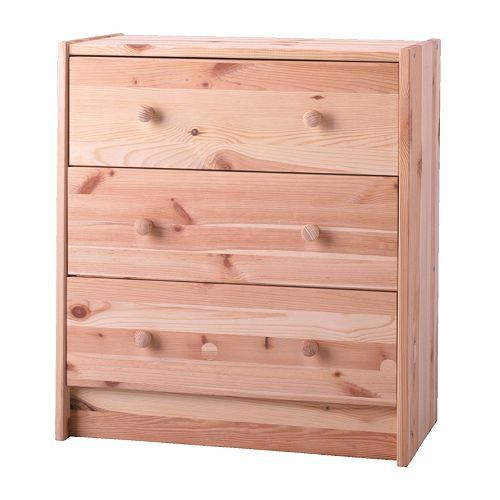 I too would like to see how you manage the quirky feet on your IKEA chests, but I love the Kira, and I really, really like the color AND finish. I think the Kiera Chest is beautiful! Kiera Chest its stunning I would love two of those cant wait to see if you choose it and what marvelous things you od to it. For me I see the Bungalow 5 Jacqui. I love the legs and the beautiful green color! The green one, especially if you can copy the legs. The other one is really lovely, but I think it’s a bit too bulky. Happy tallying your votes! I’m not sure what colors you have in mind, but I love the Kira. How bout peacock blue? Totally love the kira chest! It’s beautiful–and if you like the green, you can always paint it that colour and still keep the scrolly look and nail head trim. Really gorgeous! Hands down…..THE KIRA !!! You go girl! So….if you do the green one, did you plan to cut out the bottom ‘apron’, if the dresser is made so you can ? I think that would look cool. If so, that would sort of blend with the scalloped table you just did. That could be a good thing, or would it be too matchy. Kira. I feel the legs/feet are too trendy, while Kira is timeless. Definitely the Kira. Love that look! Kira Chest, but in a funky color! I really like the clean lines of the first table but I’m really drawn more to the one with nail heads. It’s visually more interesting. Kira with a different color finish. Since Kira is the obvious winner…I say Kira, but only with a Kristi twist! The Kira Chest for sure!!!! Bungalow would be my vote. If I remember correctly you were planning a Nailhead headboard. Which I think would bed so nice with the simple lines of the Bungalow bedside drawers. The Kira! I love your website and your awesome ideas! You are such an inspiration. It’s no contest! Scrolly things, scallops AND nail heads and you have to ask??? The Kira, of course! Bungalow 5 Jacqui 3-drawer side table, just SCREAMS Kristi! So funny, I have had 2 of these exact night stands – have had them for years. They have been transformed 4 or 5 times. From the bedroom, to a reading room, and now they are on top of each other and are being used as a slim high boy in my toddler’s room. they are so versatile. I can’t wait to see what you turn them into. You have such amazing ideas. I like the idea of combining the two without changing the base. I guess you don’t need my vote for Kira since that seems to be the winner. I agree the other is quirky, it would be nice if you could redecorate more often. The style of Kira is more classic. I need to make a comment about the rude people on your blog response. All we hear now is “We’d like your opinion so go to Facebook, our webpage, etc, and leave your comment.” Everyone thinks they now have a RIGHT to say what is on their minds. Working in a high school, I talked to a student and another half dozen answered. I said to them, “This isn’t Facebook – I don’t want your opinions.” Such dumbfounded expressions were on the faces. I know it’s easy to say don’t let it bother you,but that doesn’t happen if you are a caring person like yourself. I think you are wonderful and so talented. if it’s my style or not. The green one is the best! I would vote for the Kira, but I still think you should be making the decision. It’ll be gorgeous no matter what you do. LOL, well, I can see I am in the minority, but I like the green chest best. I do think the lines of the kira chest would be easier to pull off with the rast though. I’m with the majority (even before I looked at the comments). KIRA!!! I think based on what you already have done, that you should go with your original plan. I like bold colors and think if you did the bungalow thing in a color from your pallet, like the navy or if you’ve gone with that flowered print you were showing, in the red from it, it would look fabulous. I think the Kira chest looks hard to clean and fiddly. I think you should go with the Bungalow 5. You say the feet make you smile and as this is going to be in your bedroom then anything that makes you smile when you wake in the morning is an absolute must!!! I love everything about the Kira. The Kira chest! But knowing you, whatever you choose to do will turn out great! Kira! It looks so classy. I really like the green one personally. But I think the nailhead one with a bolder color would be really neat too. Maybe not the scrolls though…you don’t want everything in your house scrolly, right? But you didn’t get nailheads in the living room yet, so nailheads in the bedroom might be fun! I love the Kira chest. And it definitely needs color. I’m excited to see which color you choose. The bungalow immediately reminded me of the console table because of the cute legs. I love the Kira Table even though I don’t know what the rest of your décor will be in your bedroom. I love the bright funkiness & feet of the green one, but love the Kira chest totally! So voting for Kira! Kira for sure! Can wait to see the result!!!! I love the second option best! I am sure you will make either of them beautiful though. 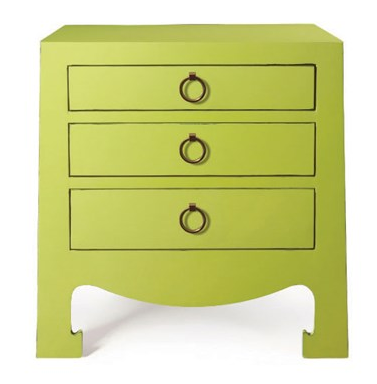 I much prefer the Kira chest from Grandin Road but agree for more color. I always love nailheads. The Kira one is really beautiful, but my vote is for the green one. It’s bold and modern and fun. I’m a sucker for bright colors, and that color paired with those rings is fabulous! Kristi, you can’t go wrong with either of them. I like the Bungalow 5 table because of the legs which are a modern take on the traditional Asian style Ming leg. It’s been around for a few hundred years or so in different versions but it never goes out of style. I also like the ring hardware on it. I am looking forward to finding out your choice.